The audio feed sources are numerous fire radio frequencies monitored by radio scanners located in various locations in Chicagoland, including an upper floor of the John Hancock Center. 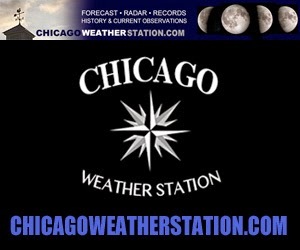 Radioman911.com has several receiver sites (with feeds) in Chicagoland, including the City of Chicago, the Northwest Suburbs, Lake County, McHenry County, Will County and more. There are also RadioReference.com feeds, which are switching to Broadcastify.com. These are commonly the sources of audio for major incidents that are covered by media across the United States, including mainstream media. Still Alarm is a fire department response to a report of a structure fire. The usual response is two engines, two trucks and a Battalion Chief. With a confirmed fire ("Working Fire Response"), a Command Van, R.I.T. unit and Squad are added to the Still Alarm assignment. The RIT unit or Rapid Intervention Team includes the Squad Company, one truck, ALS (advanced life support) ambulance, and one Battalion Chief. The term "Still Alarm" arose during the increase use of telephones for reporting emergencies in modern times compared to pulling a firebox alarm, which is an outdoor device that goes back to invention in 1852. The alarm office's register that received the signals from the actual fireboxes would remain "still" when someone reported a fire or emergency via telephone, therefore all telephone alarms began to be referred to as "Still Alarms". High Rise Still Alarm involves four engines, four trucks, three Battalion Chiefs, one squad, one ALS ambulance, one EMS Field Officer, and RIT unit. There is an extra response even when no fire is confirmed because of the extra risk of high-rise fires. Box Alarm (different term compared to suburbs, see suburbs below) is a fire department response to an activated fire alarm or an activated alarm signal from a pull box located in or just outside of a nursing home, hospital, theater, government building, or other place of public assembly. The usual response for a box alarm is four fire engines, two ladder trucks, one Battalion Chief. Automatic Fire Alarms A Box Alarm is the standard protocol response for fire alarm activations, also known as "Cold Boxes". Working Fire Response builds out of the Still Alarm when a confirmed fire is reported by arriving firefighters. The Working Fire response involves two engines, two trucks and a Battalion Chief and the RIT unit, often called "the RIT team" ( Squad Company, RIT truck, ALS (advanced life support) RIT ambulance, RIT Chief." Still and Box Alarm is usually requested by a fire officer, but under urgent situations the fire alarm office personnel are under orders to transmit a STILL and BOX Alarm -- an odor of smoke in a building such as a hospital, nursing home, school, theater, government building, etc. If a caller reports that someone is trapped in a fire building, multiple structures are reported to be on fire, a large commercial building is on fire, a building collapse has occurred, or a major transportation incident has occurred (plane crash, train derailment, etc); then a Still and Box is also transmitted. A full Still and Box Alarm response includes four fire engines, two trucks, one a tower ladder with a platform, one RIT truck, the squad company, two ambulances (one is a RIT ambulance), four battalion chiefs (RIT chief most commonly assigned first), a deputy district chief, and a command van. Extra Alarms bring additional equipment to the scene. 3-11 Alarm brings 4 Engines, Assistant Deputy Fire Commissioner/Deputy Fire Commissioner in addition to the 2-11 alarm response. 4-11 Alarm brings 4 Engines and a Fire Commissioner in addition to the 3-11 Alarm response. 5-11 Alarm brings 4 Engines in addition to the 4-11 Alarm response. SPECIAL CALLS or SPECIALS involves any equipment needed above a fifth alarm (5-11). Specials are sometimes called in addition to lower level alarm. Special equipment includes Hose Wagons, Mobile Ventilation Units (MVU), turret truck, fuel trucks, maintenance/road service trucks, etc. Inter-Divisional Box Alarm involves suburban response to the City of Chicago. Suburban firefighters will usually respond directly to the scene or will stand by in Chicago fire stations. MAYDAY ALERT involves a response when an imminent life-threatening situation exists. A MAYDAY ALERT most commonly occurs when a firefighter is missing, or known to be hurt and/or trapped. Expressway Car Fires involve a response of two engines, one truck, one Battalion Chief. Often vehicles will stage off of the expressway in case they are not needed or if they are needed for a fire hydrant connection to relay to the apparatus on the expressway. Pin-In Accident involves the need for extrication operation to free one or more people from a vehicle. In many cases, as in a rollover, the pin-in response is called automatically by the alarm office. Occasionally rescuers learn that a person is trapped when they arrive on the scene and request a pin-in response. Often, in rollover crashes people are able to get out on their own while the pin-in companies are responding. A pin-in response includes one truck, one engine, one Battalion Chief, one squad, one rescue ambulance, and one EMS Field Officer. EMS Plan I is an injury or illness incident that involves the response of five ambulances, one engine, one truck, one Battalion Chief, one EMS Field Officer, and one Assistant Deputy Chief Paramedic. EMS Plan II is an injury or illness incident that involves the response of five ambulances, one EMS Field Officer, and one Deputy Chief Paramedic, one triage van, one command van, one Deputy District Chief, and Media Affairs on top of the EMS Plan I response. EMS Plan III is an injury or illness incident that involves the response of five ambulances, one District Chief, one Chief Paramedic, and an On-Call Physician in addition to the EMS Plan II response. Inter-Divisional EMS Box involves suburban response of ambulances to the City of Chicago. Suburban firefighter/paramedics will usually respond directly to the scene, to staging areas or to provide station coverage in the City of Chicago fire stations. Chicago is its own division (MABAS DIVISION 9), so any other community help would be Inter-Divisional. Building Collapse Response involves a Still and Box response and Collapse Unit 5-2-1, Engine 5, and Truck 2. Haz-Mat Level I-III involve a minimum response of one engine, one squad, one Battalion Chief, Haz-Mat 5-11 or 5-1-2 and an ambulance. Haz-Mat responses occur on their own, such as in a fuel spill or chemical spill, but also occur as an additional response to working fires where hazards are present at the fires. Specialty Rescues include special responses for high angle rescues (e.g. scaffolding rescues, water tower rescues, high rise rescues) and confined space rescues or trench rescues. Confined space rescues often involve hazardous materials, such as poisonous gases or low oxygen conditions. Water Rescues involve responses to boats in distress, drownings, near drowning, boat crashes or downed aircraft in the water. The responses includes one engines, one truck, one squad, one Battalion Chief, one ambulance, a scuba dive van 6-8-7, a helicopter 6-8-2 or US Coast Guard helicopter and Engine 58. Squad personnel are also prepared for water immersion conditions with special water immersion suits. R.I.T. Response (Rapid Intervention Team Response) involves a rescue team that is designed to rescue firefighters that become endangered. A R.I.T unit responds to all working fires and higher alarm assignments. Some suburban fire departments follow the Chicago style of alarm responses. Many suburbs also use different terminology. Code 1 is an ambulance call for a psychiatric emergencies or medical emergencies due to trauma, injury or illness. Response is often one ambulance and one rescue squad or advanced life support fire engine. Often the ambulance crew will call off the additional help if the medical emergency is minor. Code 2 is a fire that does not involve or threaten a residential or commercial structure or other non-fire emergency or public service call. Code 2 calls include car fires, dumpster fires, outside burns, lockouts of infants, etc. If a vehicle is close to a house or building and is threatening the building, then the alarm is a Code 3. Code 3 Automatic Fire Alarm is an activated fire alarm with no confirmation of a fire. The fire engine or ladder truck that is first due to the address responds 'hot' with lights and sirens, but all other vehicles -- usually another fire engine and a rescue squad -- respond 'cold' (without lights and sirens and stopping at red lights and stop signs, etc). Some suburbs refer to automatic fire alarms as Code 3A calls. Code 3 is a report of a fire. The response is usually a tower ladder, two fire engines, a rescue squad and an ambulance. Some fire departments use a quint instead of an engine or tower ladder vehicle. If the 9-1-1 center receives multiple calls or a credible report that a person is trapped or some other indication that the fire is well-involved, the alarm is upgraded to a Code 4 before firefighters arrive on the scene. Some smaller structure fires and even house fires remain at the Code 3 level. Code 4 is a report of a working fire. It is usually called by an officer at the scene of a Code 3 under conditions of a working fire. Most Code 4 responses are extinguished within about 15 to 45 minutes. A Code 4 involves a response that moves a third fire engine to the scene or a nearby fire station, and brings one or two fire engines or ladder towers or quints from an adjacent community. The responses depend on the size of the community and how many fire stations a community operates. A community with five fire stations might not need assistance on a Code 4. A community with two or three fire stations is more likely to need assistance from another community for the third and fourth apparatus response. Box Alarm in the suburbs is a request for mutual aid from several nearby suburbs known as MABAS -- the Mutual Aid Box Alarm System. Box Alarm cards were designated in the 1960's and have evolved into prepared responses for various neighborhoods or buildings and facilities in a neighborhood in a community. For example, a single family residential neighborhood would have a different equipment response, than a commercial district with factories and warehouses. MABAS is setup with divisions. Each division has a varying amount of communities, villages or cities in the division. The box alarm cards have also been designed so that communities near the initial incident are not spread too thin, in case a second incident arises. Box Alarm Second Alarm through Fifth Alarm Levels include additional equipment for larger incidents that normally stay from within a particular MABAS Division. The increments of additional equipment are similar to the Chicago extra alarm assignments. Interdivisional Box Alarm, like Chicago, and Inter-Divisional Box Alarm brings equipment that is in demand above a fifth alarm. The equipment comes from other MABAS divisions. Effective Sunday 11/18/2012 at 0800 hrs, the Chicago Fire Department ended using the VHF radio system. All CFD communications switched to a UHF digital system.